In Freedom’s temple nothing is more free. And up the beetling cliff to see thee glide. Though harsh thy earnest cry. And noisy man but rarely visits here. For this I love thee, bird. Or perch within the gully’s frowning side. In this seclusion it were joy to dwell. In this rough region of perpetual strife? But there is rest beneath the Tree of Life. Moor’d safely in the haven of the blest. And mossy turf, how dear! What gushing song! how fresh the moors and still! O hill of rock, piled to the passing cloud! And leave a glory where they brightly bow’d. Strange Druid footfalls seem’d to echo round. Dear carn and cottage, heathy bank and bower. I was pleased to find this poem. It was written by a Cornishman – John Harris – who was born in 1820 in Bolenowe. Perhaps he was an ancestor? His father was a miner at Dolcoath Tin Mine where young John also started at the age of 10. He began writing poetry as a child, usually in the open air where he was inspired by nature. After 20 years working in the mine, one of his poems was eventually published in a magazine. It attracted notice, and he was encouraged to produce a collection, which was published in 1853. The Cornish Chough is taken from that collection. 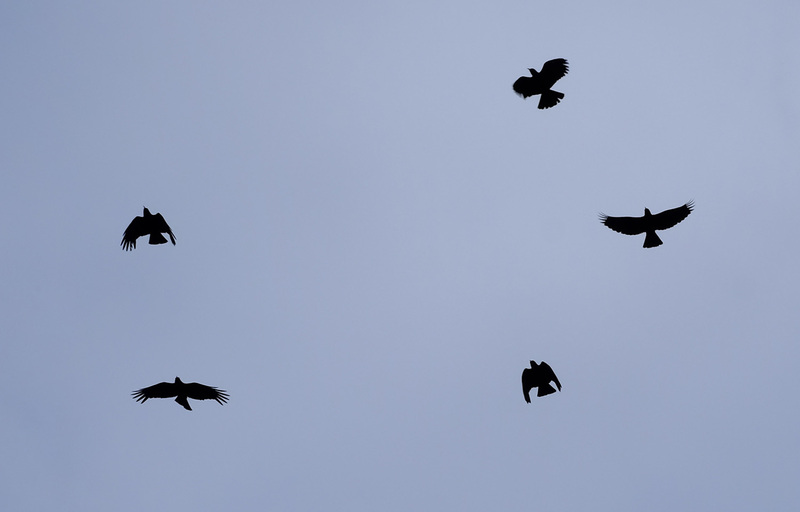 Above – choughs over Rossbrin Cove. The wonderful header picture was kindly given to us to use in a previous piece on the birds by our friend and neighbour Oliver Nares. Oliver and Susie are fortunate to have choughs nesting on their property and keep a good eye out for the welfare of the chough families which are raised there. We don’t have choughs nesting at Nead an Iolair (which means Nest of the Eagle) but we often see and hear them over us: they are the most acrobatic and joyful of birds. The reason I have returned to choughs today is that they were the subject of an early post which I published on Roaringwater Journal on 6 October 2013 – exactly five years ago! 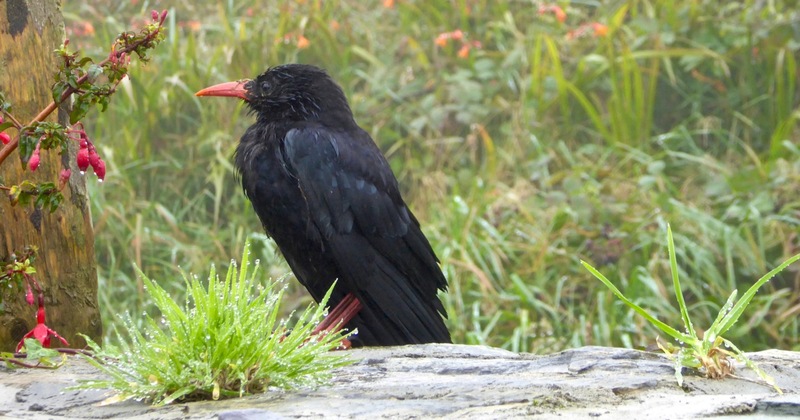 Choughs – Cornwall’s emblematic birds – left that county fifty years ago but returned very recently as migrants from Ireland. We consider ourselves very privileged to be living in abundant chough country. I’ve waited a whole life for this – the chance to be a falconer, if only for a moment. Ever since I read T H White’s The Once and Future King, it’s been a fantasy of mine to interact with one of those magnificent hunting birds that he described so well. A couple of weeks ago, at Adare Manor, Robert and I got a chance to finally live that dream – yes, he read the same book and loved it just as much as I had. T H White was a falconer himself, although not a very successful one. The treat was part of a couple of days stay at Adare Manor – Robert’s post describes this fascinating place in wonderful detail. Our falconer at Adare Manor was Susan Kirwan, one of the team at Adare Country Pursuits. What she doesn’t know about birds would fit on a postcard. She trained her first bird, a jackdaw, at the age of nine, and was hooked. Now she shares her knowledge and her love of birds with those of us who have admired from afar but have never had an opportunity to get up close. She spent the morning with us, handling each bird in turn and giving us an education on each one – habitat, habits, hunting style, personality, peculiarities, nutrition, feathers, weight – it was in-depth and fascinating. There wasn’t a question we asked that she couldn’t answer. She has spent her life studying and living with these birds. All of the birds wore jesses (ankle leathers) and Susan showed us how to hold our gauntlets and our fingers to secure a bird once on the glove. She encouraged us to speak in a calm voice and not to betray nervousness – birds are excellent at picking up on human emotions. Some of the birds were trained to fly from perch to perch, attached to a ‘creance’ or long line. Each has a optimal weight for flying and it’s essential to keep it there, so weighing and inspecting is part of the daily routine. Food must be as close as possible to what they would eat in the wild, to preserve the level of roughage and protein. Falconry, especially when you keep several birds, is a full-time job. Owls, although excellent hunters for themselves, don’t make the greatest falconry hunters. However, they are often brought to Susan as motherless chicks and she becomes their parent, as they imprint readily on a human. Susan told us that the Harry Potter series started a trend among some young people of capturing owls ‘to train’ but of course this is almost impossible for an amateur, so that is how some birds have come to her aviary. Raising an imprinted bird involves a particular set of skills and deep knowledge of the species. Susan is a certified falconer and has taken all the courses she can find to develop her skills. It was obvious, in the way she talked to and handled her birds how much she loved them. It was a thrill to be so close to a bald eagle. Living in Canada, I had many opportunities to observe these magnificent creatures in the wild, but I had never seen one as close up as I did at Adare. Saoirse is not quite four yet, and it takes a full four years for a bald eagle to mature and to grow both the white head and the white tail. Saoirse’s tail was there, but her head was at the salt-and-pepper stage that women of my age can relate to. The Harris Hawk – ours was called Felix – is considered the easiest hunting bird to train because of its laid-back attitude to life and its natural ability to interact with humans. The highlight of our session came when Susan let Felix loose to fly to a high perch, and then called him down to land on our glove. What a feeling! This IS a wild bird – Susan affixed a locator transmitter to its leg before we started so that if Felix took it into his head to fly away she could track him through the woods. She described how a falconer would track a bird before locators were used – it involved standing very still and tuning in to the sounds of the forest. Other birds would react to the sudden appearance of a hawk or falcon and the falconer would follow the sound-clues to his bird. We were extremely lucky to have Susan and her birds all to ourselves that morning – not sure how often that happens! But if you get a chance, don’t pass up an opportunity like this. It’s a once-in-a-lifetime experience. Thank you, Susan – you’ve made some old T H White fans very happy! We are fortunate to live in a rural idyll: our immediate environment is immersed in the natural world. 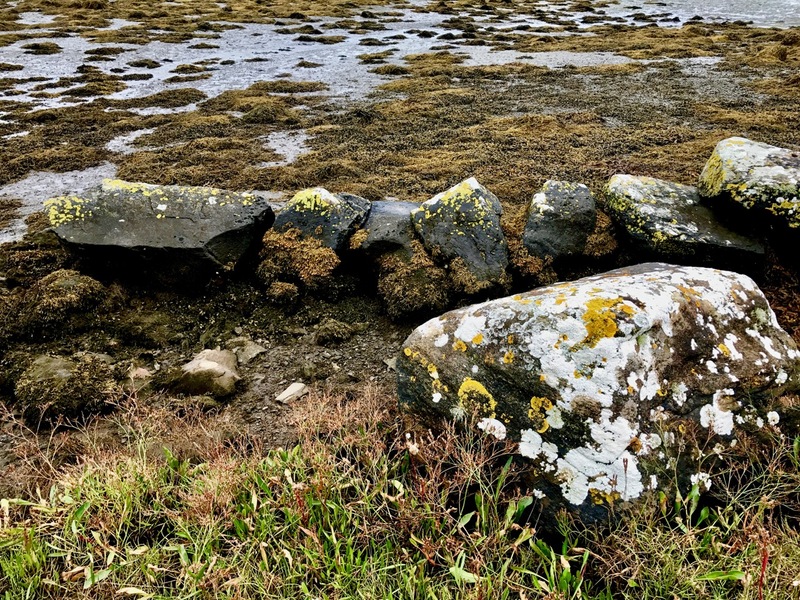 In fact, I suppose it is ‘Nature tamed’ – as we have pasture all around us as well as banks of gorse and rock: even a few trees which manage to cling on to the shallow soil all through the winter gales and (occasional) summer droughts. As the years go by we feel we become more closely entwined with the cycle of everything around us – we get to know personally the fox, pheasants and rabbits that pass by our window, and the myriad of birds that feed here, forage in the Cove or just show themselves to us on memorable occasions – Spioróg the Sparrowhawk is so handsome when she is resting on our terrace wall while on her deadly missions, and our choughs frequently perform wild dances in the air to entertain us. This year was special for me because, for the first time, I saw a hare amble around the house, alert with erect ears, before loping off into the next door field. I have written about Rossbrin Cove many times before: look at A Moment in Time, Tide’s Out and Words on Roaring Water, for example. That sheltered natural harbour and the old mine road up on the hill above probably give us the most pleasure because we visibly see the year change and turn every time we walk there. 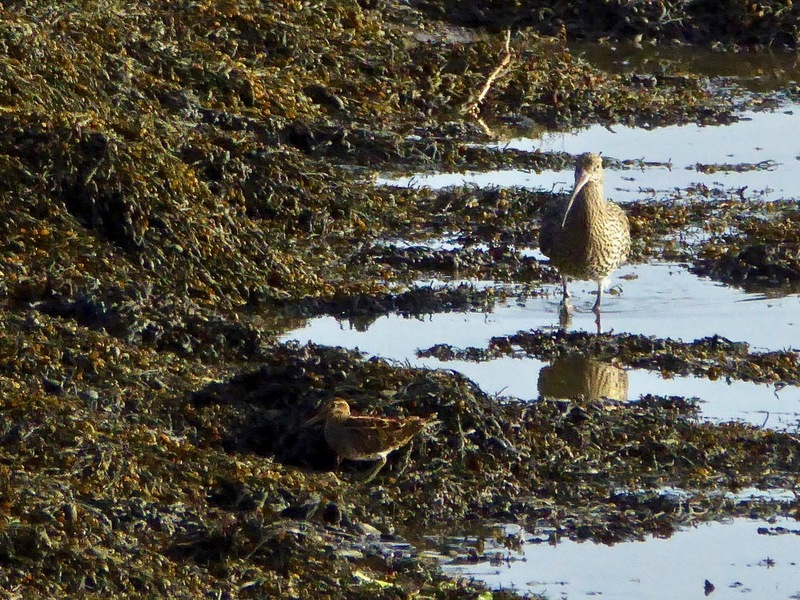 Just now the days are rapidly shortening, and the autumnal influx of wading birds is returning. One we keep a particular eye out for is the curlew – a threatened breeding species here in Ireland. We see many on and close to the water, particularly at low tide, but these are probably migrants rather than resident breeders. 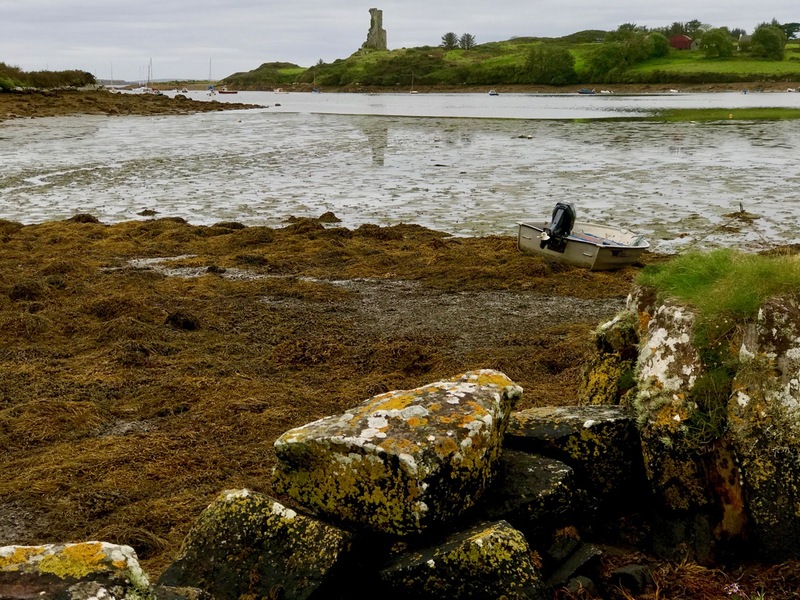 The year is turning – from late summer into early autumn, and the colours are changing from rich reds and purples – fuschia and heathers – to the more sombre yet equally attractive yellows and browns of furze and fern. Finola has closely followed the wildflowers right through from the spring – she is still finding and identifying every imaginable species – it’s a complete world of its own! 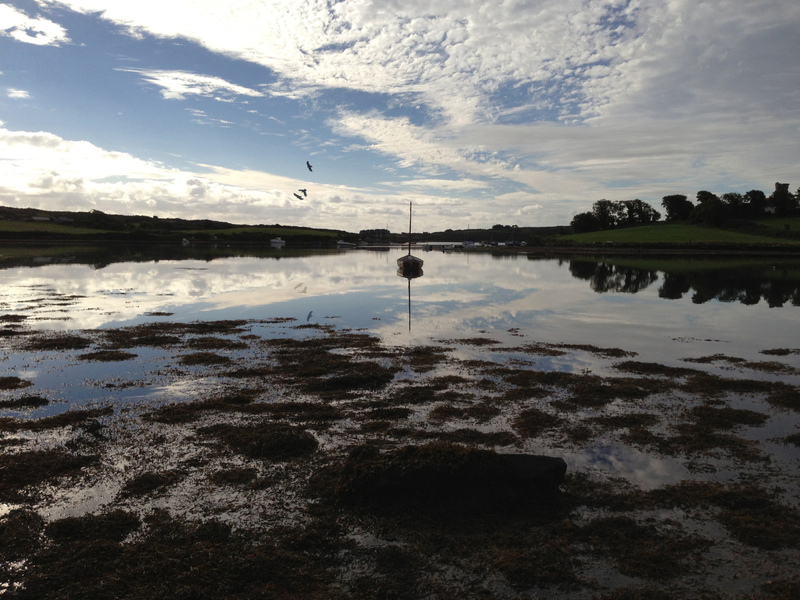 We have been seeing some exceptionally high and low tides here in Rossbrin. 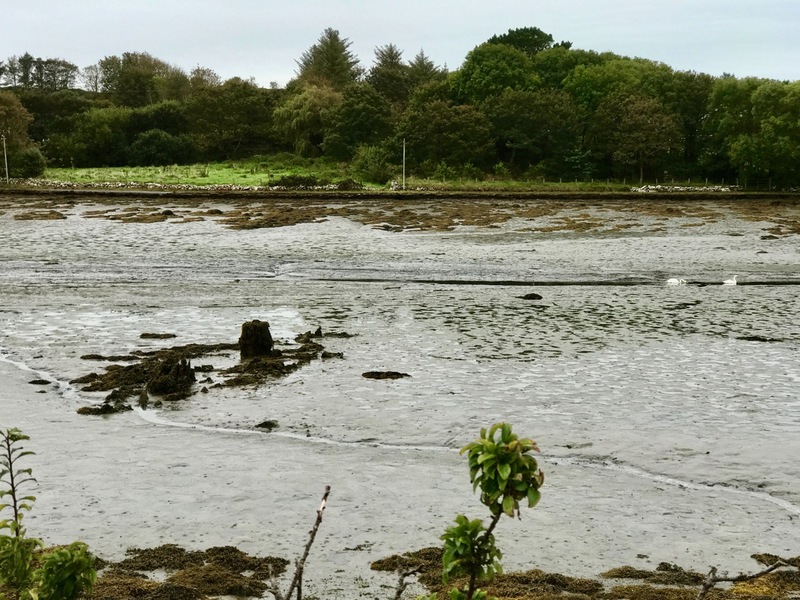 I’m always fascinated to see the mud-flats revealing bits of discarded history, while I am convinced that the huge remnants of dressed stonework on the north-east shore are the vestiges of once-busy quays, dating either from the medieval period, when Sir William Hull and the Great Earl of Cork owned the lands around here and set up thriving fish-processing ‘palaces’, or – at the latest – when the copper mines were active up on our hills and on Horse Island in the nineteenth century. The real turning point comes at the end of October – Samhain – when the old calendar enters the ‘dark year’ (the ‘light year’ begins on May 1st – Lá Bealtaine). We know we have long, dark nights to come – time to huddle down by the stove – but there will be bright days as good as any in the year for walking, exploring and breathing in the Atlantic breezes. And the Rossbrin sunsets will be magnificent! Walking the boreens in May there is a sense of potency, urgency even, in the landscape. We’ve been asleep long enough, the flowers are saying – it’s high time we put in an appearance. 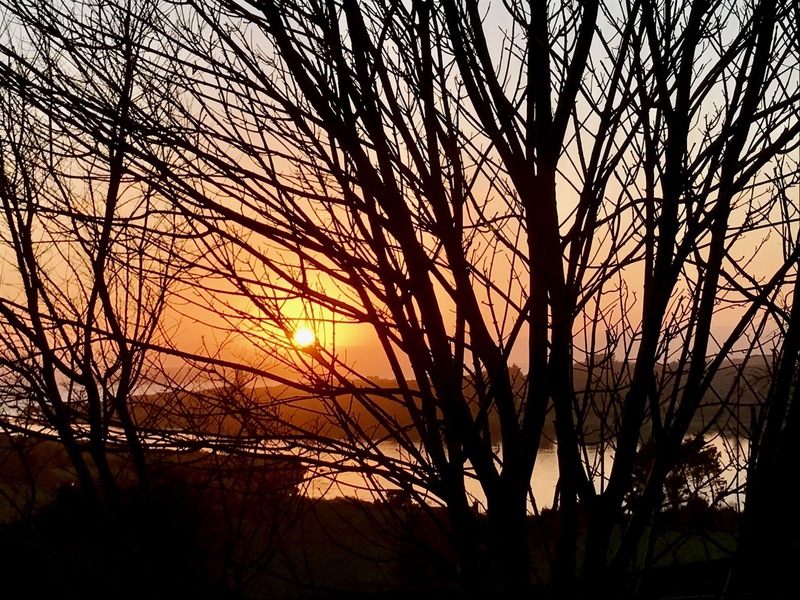 After a long dry spring, everything is early this year in West Cork this year – and earlier than in the rest of Ireland too, thanks to our southerly location and mild climate. The big flowers are happening – the irises and the foxgloves in all their boldness and drama, as well as the tiny ones that are peeping out along the hedgebanks. The Big Event in May for us was the launch of the Wildflower Trail, which I wrote about a couple of weeks ago. The launch was lovely – it was a great honour to have Zoë Devlin come and declare the trail open, and then lead us in a wildflower walk. The brochure is now in the Tourist Centres and already people are picking it up and wandering the boreens. Zoë had participants spellbound – she just knows SO much! For me it was a special opportunity to learn from Zoë when we walked the course before the launch. It was a great experience and I learned very quickly that for Zoë the wildflowers are just one aspect of an interdependent whole that includes butterflies, moths, bees, birds, and flora and fauna of all descriptions. I also learned how dedicated she is to recording all the flowers she sees for the National Biodiversity Centre Database. This is not a difficult thing to do, but it does take a little practice and a little time. I am resolved to up my own game in this regard and start sending in more records. 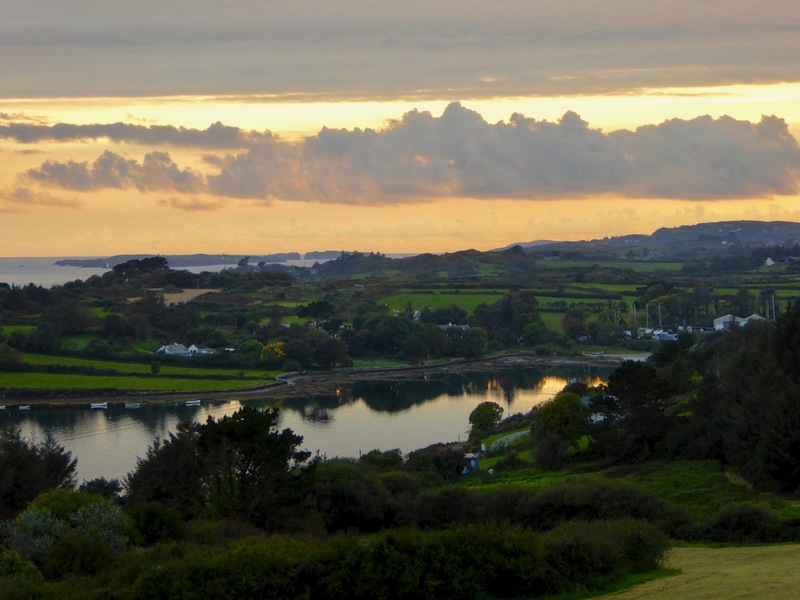 But mostly I just want to spread the joy – and help people to see the incredible beauty and diversity of wildflowers that we have in West Cork. Our boreens should be celebrated as National Treasures! This boreen leads out of Ballydehob – it’s alive with an enormous variety of flowers. Above is Wild Carrot -as its name suggests, this is the wild version of our cultivated carrot. Very young wild carrots are edible, but you must take extreme care as the plant is very similar to Hemlock Water-dropwort (below) which is very poisonous. This one is growing along a stream in Skibbereen – also the location of the Yarrow in my lead image (top of post). Irish Spurge, above, is an intense yellow green in April. In May it acquires this little yellow spaceship flower heads. You have to get in really close to see them. Salad Burnet (above) was grown in kitchen gardens from Medieval times as a salad vegetable and herb. The leaves, they say, taste like cucumber. I’ve tried them, and I have to say you’d need a vivid imagination to get a cucumber taste out of them. Zoë alerted us to Russian Vine (above, wrapping around flowering nettles) down at Rossbrin Cove. Also known as Mile a Minute, it’s an introduced plant that acts like Bindweed (only worse) and is related to Japanese Knotweed, so very difficult to kill. Bad news! I love the colour combinations you find in the hedgebanks. Wouldn’t this – buttercup and speedwell – make a great dress material? A baby waterlilly – I was struck by how it looks, as if lit from within. 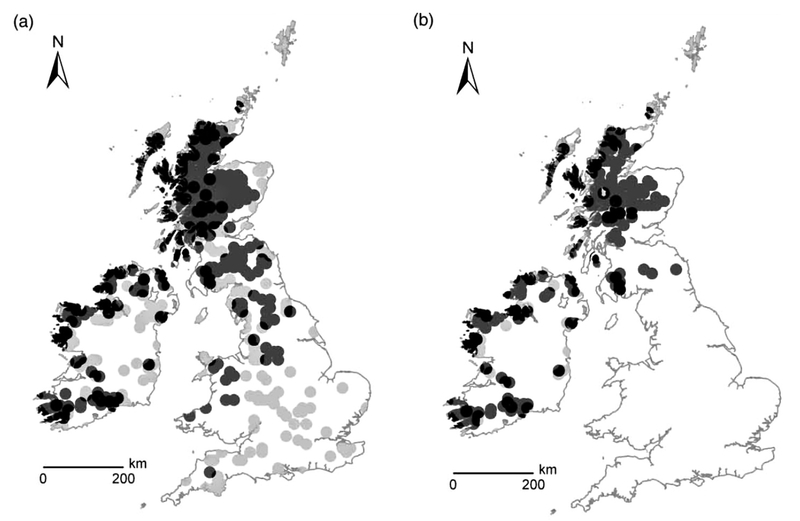 The diagram shows that White-tailed Eagles have lived here on the Mizen Peninsula 1500 years ago, and both species have been located a little further up the west coast as recently as 200 years ago. In 2001 fifty young golden eagles were released in Glenveagh National Park, Donegal, in an attempt to reintroduce the bird to Ireland. 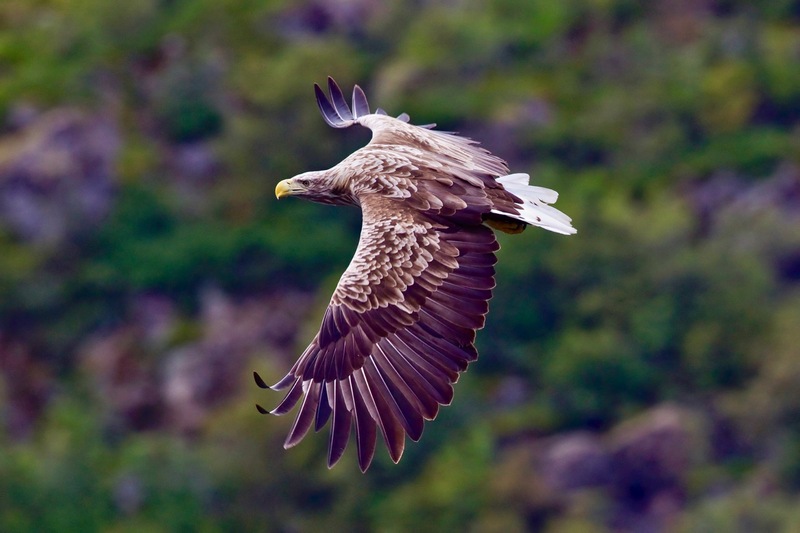 In a similar project to reintroduce white-tailed eagles, one hundred of the birds were brought from Norway to the Killarney National Park between 2007 and 2011, and up to September 2016 thirteen chicks have survived. The aim is to get at least ten chicks flying from their nests each year. Six white-tailed eagle chicks have flown from their nests in Ireland in 2016, making it the most successful year yet; one of these chicks was born near Glengariff, which is only just over the hill from us in terms of an eagle’s range. 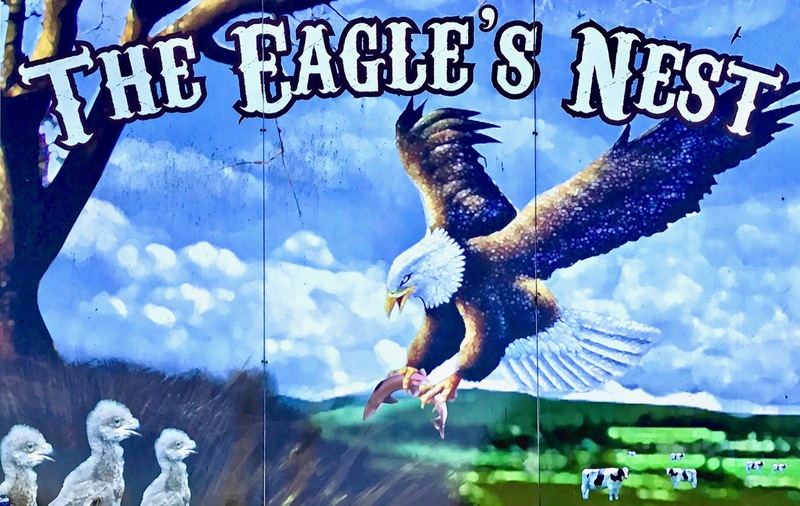 So we remain ever hopeful that the white-tailed eagles (sometimes known as white-tailed sea eagles) will soon make their way down here to Nead an Iolair – attracted, perhaps, by the name. 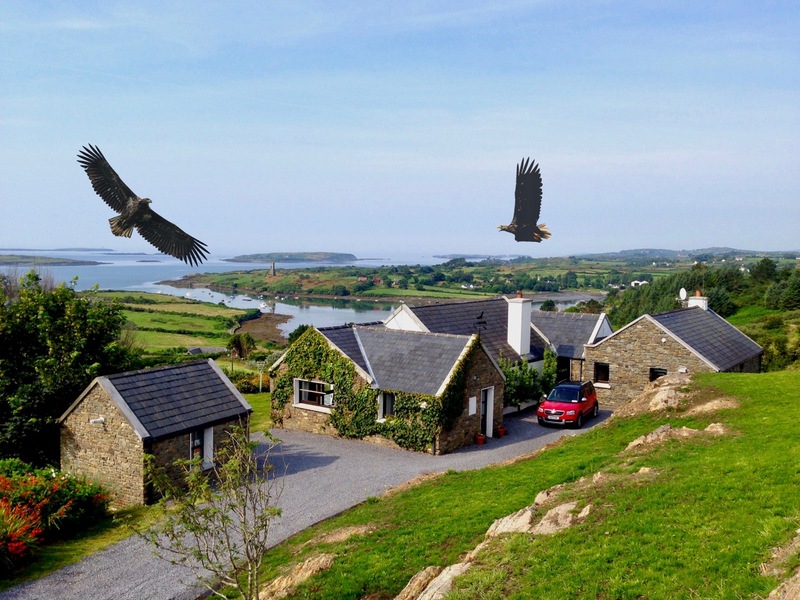 We’d be very pleased to see them circling overhead – they are the largest birds on Ireland’s shores. Already our bird feeders attract avians of all shapes and sizes, and they generally get along fine with each other, although the smaller birds do make themselves scarce when Spioróg turns up! Whenever we are on our travels we look out for the word Iolair (eagle) in place-names. We found one in Duhallow, a Barony in Cork County, just north of the wonderfully named Boggeragh Mountains. 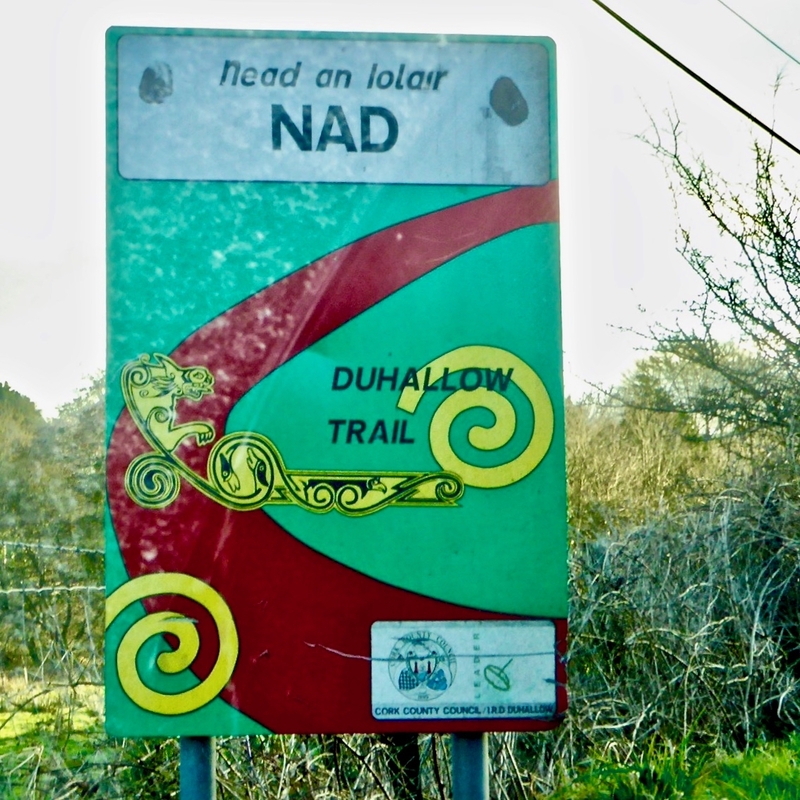 In fact we were alerted by signposts directing us to Nad or Nadd (nest) and found ourselves in a tiny settlement which was determined to point out its links with the eagles. 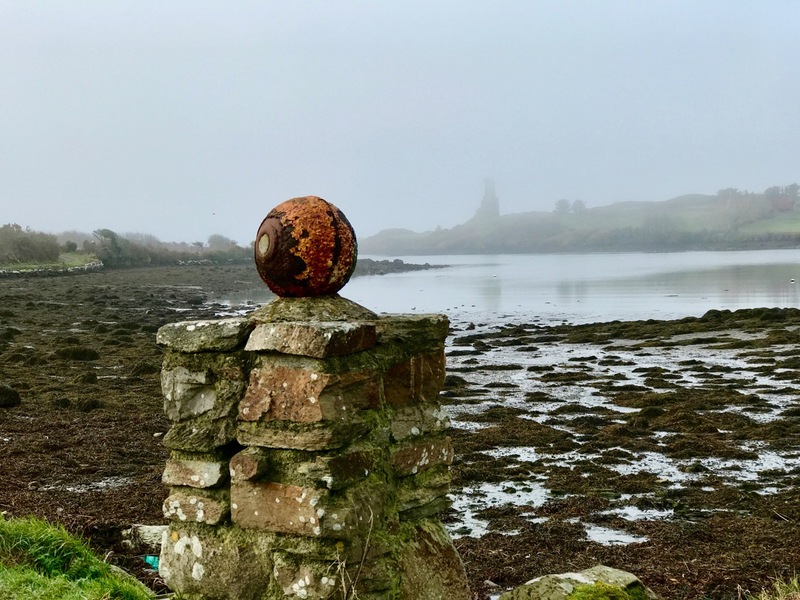 Besides these features the village has a poignant memorial dating from the struggle for independence: a reminder of harsh realities still within living memory. The words that stand out are May God Free Ireland. 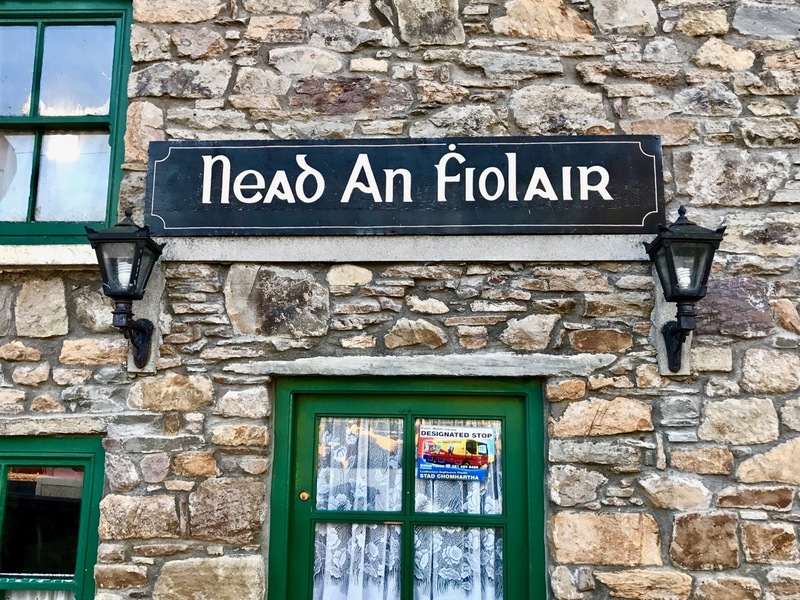 Back to the eagles and – in an interesting diversion into semantics – we noticed that the name over the door of the pub is in old Irish script and has introduced an additional character to the word Iolair – it looks like an ‘f’. Finola tells me that the use of the accent over that ‘f’ – which is known as a búilte – serves to silence the letter. In modern script it would be converted to ‘fh’: so fhiolair would still be pronounced ‘uller’. But we can’t find any precedent for using the word in this form. Perhaps an expert in Irish language can help us here…? Regular readers will be aware that I am always on the lookout for links between Cornwall and the West of Ireland (and there are many). Interestingly, Nead an Iolair is one of them. Just outside St Ives, on the north coast of Cornwall, is a superb house, also called Eagle’s Nest. It was the family home of Patrick Heron, one of the influential St Ives School artists. 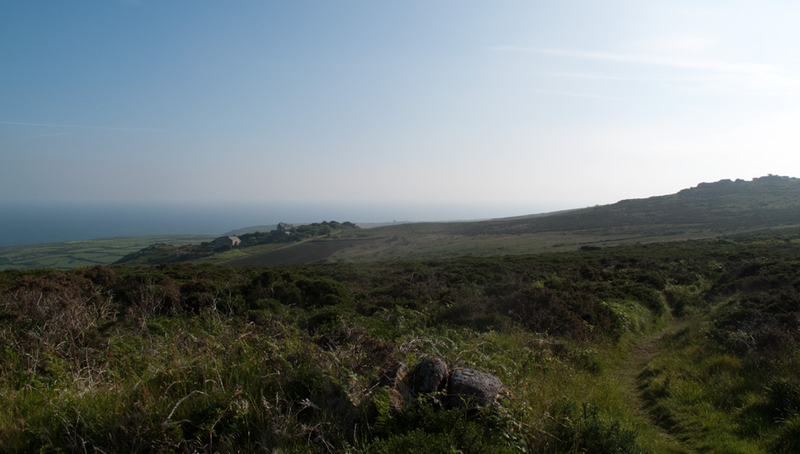 When I lived in Cornwall I frequently passed by the house and was always impressed with its location – like us now, it is high up above the coast with a commanding view over the myriad small fields and out to the ocean. 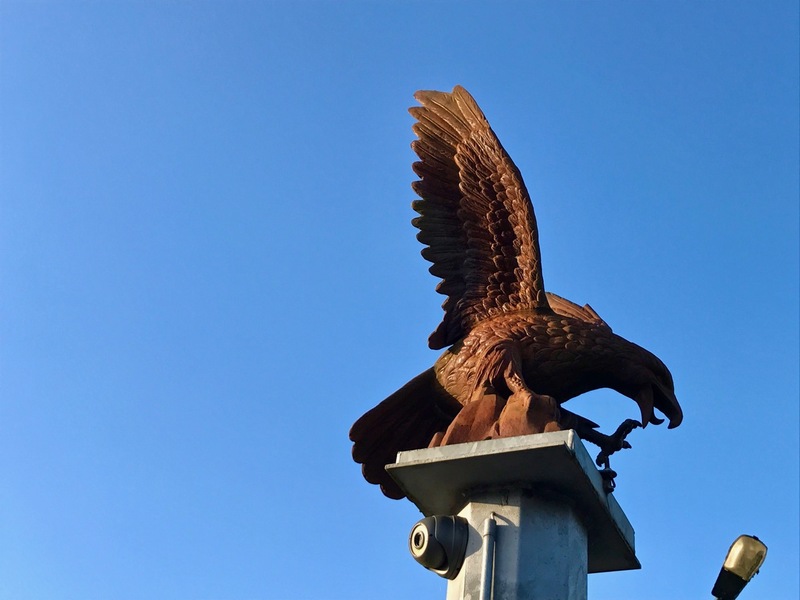 I always thought I would like to live there, because of that view… Now I have my own Eagle’s Nest – and I couldn’t be more content.